A Hastings man attacked his girlfriend's former lover with a metal baton on Christmas Eve after spotting him at Sainsbury’s. Fast food worker Benjamin Tillman encountered the man in a ‘chance meeting’ outside the supermarket and started shouting, a court heard. Tillman, 29 of Old London Road, then returned to his car, pulled out a metal baton and swung it at the man twice, striking his hands and forehead. 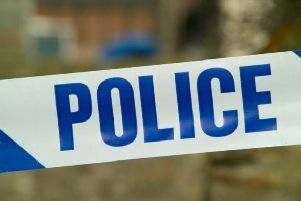 The incident took place in the car park of Sainsbury’s in John Macadam Way in Hastings. He pleaded guilty to assault by beating and possession of an offensive weapon at an earlier hearing and appeared at Hove Crown Court today for sentencing. Prosecutor Charlotte Morrish told the court: “The victim heard his girlfriend say ‘not now, not here, it’s Christmas’. The victim put his hands up to protect his head and the baton struck his left hand and his head, the court heard. Not content with one blow, Tillman swung again and struck the victim’s other hand. The incident was captured on Sainsbury’s CCTV. Defence barrister Anthony Waller said: “When he was interviewed he stated in effect that the victim had adopted a fighting stance so he went and got his metal hydraulic car boot [tool] out of the car. He noted that Tillman suffers with mental health issues and that there were ‘definite issues’ between Tillman and the victim prior to the incident. However she noted that Tillman had had a ‘significant gap’ between this incident and his previous convictions. Judge Henson elected not to send Tillman immediately to jail, giving him a nine-month sentence, suspended for two years. He must complete 180 hours of unpaid work, attend up to 25 rehabilitation days and was made the subject of a restraining order.